In the face of disaster, preppers know we need to move quickly. 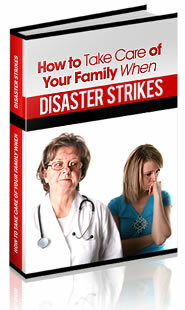 We should be prepared to act in a minute’s notice when we realize our family is in jeopardy. We each have our Bug Out Bags ready to go or they should be but it is a different matter altogether if the family bug out mobile is involved. How many times have you watched a Prepper show where the family simulated loading all of their gear to escape town? Often it took them much longer than they anticipated and in at least one case, they couldn’t even take their main prep with them. We have talked about conducting a trial load of your bug out vehicle before and that makes perfect sense, but what if you had a simple way to plan and stage your bug out vehicle equipment, food and gear that would only take you 10 to 20 minutes to load, was ready to go when you needed it and would give you just about everything you would need to live on your own for at least 30 days? What if this simple bug out vehicle load plan could get your and your family on the road faster? Do you think it would be worth it to spend a little time now as opposed to wasting life-saving hours later? What do you need to pack if you are running away from disaster? The idea for the bug out vehicle load plan comes from a couple of places. First, like so many of you, I have tried to figure out and plan for all my supplies if the situation dictated that I needed to throw everyone in the car and leave. I have written about my plan to shelter in place because I think everything being equal, it is much easier to weather some disasters from the comfort of your own home. However, I do realize that I don’t always get a vote. Perhaps a chemical spill 5 miles away was causing illness and evacuations. I would need to go and quickly. I have many prepping supplies that I think are vital to living and surviving away from my home, but I don’t have them all packed and ready to go. I have some items in closets, some in sheds, some under beds, in spare closets and others strewn in numerous drawers. If I have plenty of time, I think What I have collected so far can cover a lot of bases, but in this scenario, we want to get out quickly. It could be that you want to beat the rush that could quickly cause the highways to be parking lots. It may also be that if you don’t get to safer ground, you will die. Roof racks greatly extend your cargo carrying capacity. The list I have put together draws a lot of inspiration from camping trips. I do still maintain that in many aspects, living off the grid is very similar to camping. Yes, there are many ‘but what about’ to that analogy, but if you have the basics to live in the woods for a week without starving, you are in pretty good shape. Will that last years? Will that keep you safe from hordes of Mongolians on horses? No, but we are working towards a goal here. Not everyone is able to have a bug out retreat. The consistent part of prepping is that everyone needs the same core things to survive. You need water, food, shelter and security. Technically you don’t need security if you are on an island and no creatures or humans are trying to separate you from your head, but you get the idea. In this world, you will likely need to defend yourself from others, in some situations, at some point. So our packing list is broken down into storage cases that represent some of these crucial elements. My plan is to have weather proof cases packed with all of these supplies ready to go at all times. If I need to go, it is a pretty simple matter to load them on my vehicle, secure them and roll out of the neighborhood. The cases I use are from Plano. They are called the Sportsman Trunk 1919. The case dimensions are 37.75″ X 18.25″ X 14″ and I have room for three of these on the top of my vehicle plus more actually. I have more room inside the vehicle too, but I will get to that later. I think what goes in your food case will vary greatly. What I am comfortable eating would make some of you wince with pain. You have to consider the weight, storage space and caloric benefit of what you do pack though. For example, if you fill your food case up with nothing but bags of rice and cans of beans, that will last a while, but will quickly become boring. How sad is it when nobody wants to eat your food to survive? ‘They’ll eat when they get hungry enough!’ I know, I have said that too, but we should be able to agree a little variety is better. Hopefully, we all know that nothing refrigerated should be going in this case and I would even argue against a cooler too. You should be packing food that you can forget about and only bring out when you need to leave. Coolers are big wastes of space. What kind of food? I have several boxes of freeze dried food from a few different vendors. With choices like chicken noodle soup, mashed potatoes, powdered milk, chocolate pudding, rice, fruit, mac & cheese, etc. there is bound to be something we can all enjoy. Plus, the freeze dried food takes up so much less space than cans. There are many creative options for extending the usefulness of your vehicle to keep you comfortable away from home. This food is stored in a cool dry place in the Plano trunk so it’s ready to go. This should last a family of 4 approximately, 30 days. There are lots of freeze dried vendors out there. I suggest you do some research and then watch for sales. You can save a lot of money sometimes and it is always cheaper to buy in bulk. Your personal case might need to be adjusted for special diets, but this is an example. This case should be pretty simple to explain. It’s just the big gear we will use to keep us out of the elements. 3 tarps – One for our ground cover. The others can meet various other needs. Toilet Paper -Probably not enough to last 4 people 30 days, but enough to get us started. That is the million-dollar question isn’t it? I know that some people will have items I have missed and I can easily come up with hundreds myself, but you have to ask if those items are necessary. Can this list keep you alive? Can you store this and get it loaded quickly? I think so and in an upcoming post, I will show you how I load everything. There are other supplies that get packed in here too like weapons, bug out bags and communication items. I also have vehicle preps and clothes so stay tuned for more. The post Bug Out Vehicle Load Plan appeared first on The Prepper Journal.